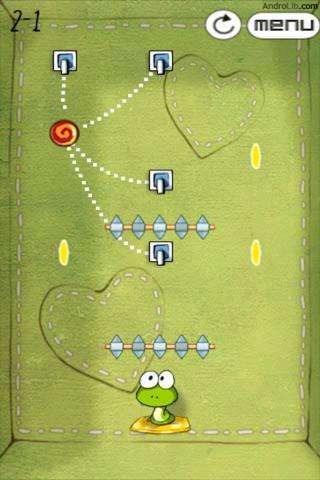 Cut the Rope - The Original, Now For Android! There’s barely anyone that isn’t familiar with Cut the Rope – a game made extremely popular by the iPhone. It’s taken quite a while, but the game’s developers have finally made the switch over to Android and the game can be downloaded from the Android Market. Find out if the game performs just as well as on the iPhone in today’s review! In Cut the Rope, the aim of the game is to feed the little green frog named Om Nom candies in different tricky and amusing ways. 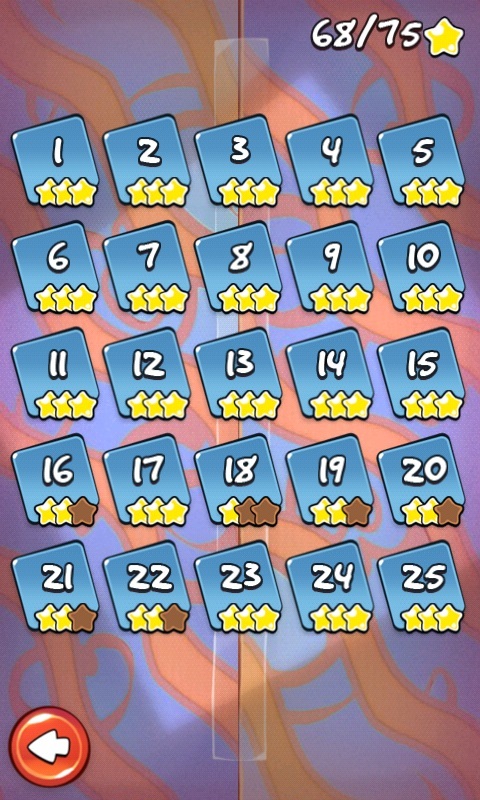 In the process, you have to try and collect a maximum of three stars (by making the candies fall on them) in order to collect extra points. The tricky thing is that you have to think logically to cut the candies from their ropes and calculate their trajectory down to the frog’s mouth. Depending on the level, you have to cut the candies in a certain order and at specific intervals to make sure they get to Om Nom. Every now and then there are obstacles and objects that block the way, making the game more challenging and exciting. Each box includes 25 levels – so that’s 175 in total! Every box has something special about it: in the Valentines Box, for example, the candy is split in two and must be put back together before Om Nom can eat it. Don’t worry though – there’s always a small explanation available to guide through intricacies of the game. The Cut the Rope settings are very clear and simple: aside from adjusting the background music and sounds, you can also check out the game’s credits. Bottom Line: Cut the Rope is one of those epic yet simple games that never get boring. By constantly adding new twists and turns with ever-changing obstacles and objects, Cut the Rope guarantees a high level of excitement and fun. Once you’re on a roll, it’s pretty easy to get through all 175 levels, but there are more boxes in the works. The Android version is no different than the iOS original – in terms of both looks and functionality. The controls for Cut the Rope are super easy – just like you’re used to from the iOS version. Every single object or action is thoroughly explained to you on-the-go while you’re playing. The Cut the Rope app didn’t crash a single time while I was using it. Every now and then the graphics got a bit choppy, especially when I switched back to the app from doing something else on my phone. That’s obviously a problem, but it’s not something that comes up often unless you’re the kind of person that likes to play, Skype with people, text and browse at the same time. 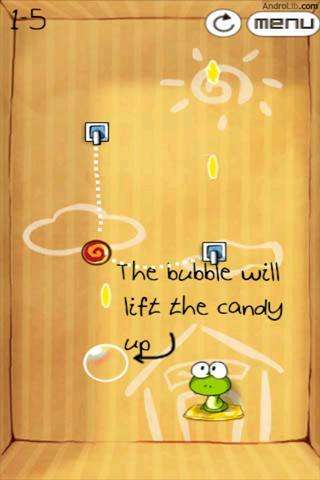 Cut the Rope can be purchased for just €0,69 from the Android Market and includes some ads (in the menus only). At the moment, the app is also available for free from GetJar, but that version comes without any updates. Have to say, I'm addicted - one of my fav games of the moment! I had never heard of this game until I stumpled into some news on an android app site last week, pronouncing it's upcoming release. I downloaded it as soon as it became available, and I have been playing it ever since.